Porcelain is the noblest ceramic material. The word ceramics comes from the Greek Kerameia, which means ‘fired’. Porcelain is a “white wonder” made of ceramic material heated to high temperatures in a kiln. The decor on the photo is Imola decor coffee cup 730-0-00. Its discovery dates back to ancient China (that’s why porcelain products are often referred to as china in English-speaking countries). Porcelain was discovered when ancient Chinese people found some strange, exceptionally hard and solid pieces of material at their outdoor fireplaces after the fire was put out. Mixing and firing local types of earth, they started begin to create simple jugs and bowls. Thanks to the creative ideas and experiments during the years, porcelain became whiter and whiter. Porcelain manufacture was a monopoly of the emperor for a long time, thus European travellers and merchants couldn’t reveal the secret of the “white gold”. Porcelain has 3 main ingredients, kaolin, quartz and feldspar. Kaolin is the most important material of the three, even though it accounts for only a small proportion. Other materials like alabaster, ball clay, bone ash, glass, steatite and petuntse can be also added to the mixture. Clays used for porcelain wet very quickly and are of lower plasticity than other pottery clays. The clays’ water content can produce large changes in how easy they are to work with, thus range of water content is very narrow and carefully controlled. After the forming of ceramic wares the glazing comes. Although, high-fired porcelain wares don’t need glazing to be impermeable to liquids; the process is used for decorative purposes. Besides other types of glaze, iron-containing glaze is used. After glazing porcelain ware is decorated using cobalt, copper and colored enamels. Ceramic wares are then heated in a kiln to make their bodies become non-porous. Porcelains can be once or twice-fired: in the first case, they are fired at 1000 degrees Celsius first and 1300 degrees at the second time. 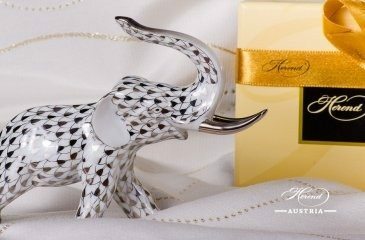 Read our blog posts for a better understanding of Herend Porcelain. The past few days we’ve visited the Manufactory of Herend in Hungary. It is always a miracle to return to the hometown of the European White Gold. We met the Manufactory leaders, had some words with the painters, and also discussed some of our new ideas with the management. This is a great moment to say a few words about the start of the Manufactory. 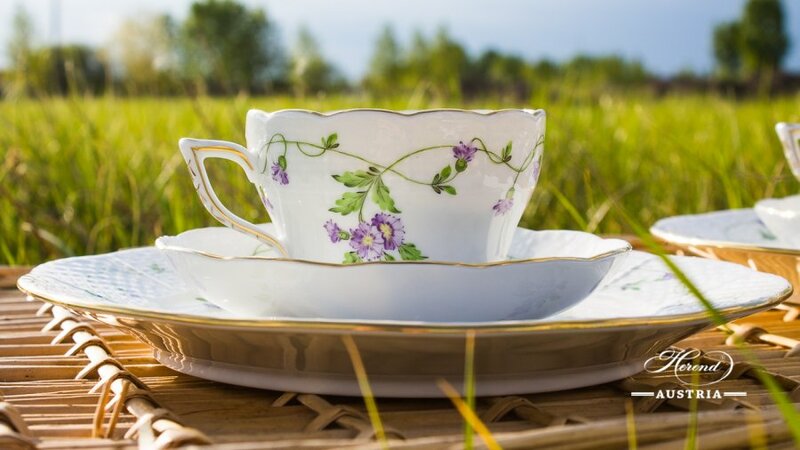 Herend porcelain ware, dinner, coffee and tea sets are very popular not just among everyday people but famous people, like celebrities and royal families as well. 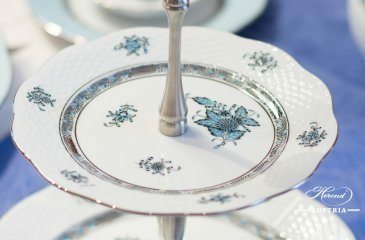 Those who like style, uniqueness, affordable luxury and traditional or modern-style porcelain ware, prefer investing in a long-lasting, quality porcelain set. 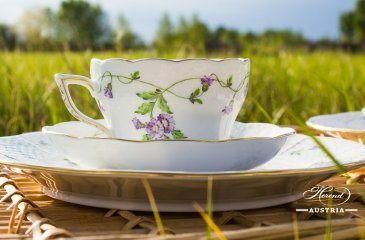 The below royal personalities and celebrities also have – at least one – set of Herend porcelain ware at home.